When’s the last time you heard of a serious injury from court storming? If you’re having a little trouble, that’s because they happen as much as you actually starting that diet and exercise routine. A quick Google search yields no incidents post 2004. Every other article’s headline contains the words “before someone gets hurt,” or “potential.” That’s all it is, potential. This increasingly preventative culture we find ourselves in won’t be satisfied until all seven billion of us live in padded rooms and talk in clichés. Then again, I’ve heard straitjackets can cause those awful pins and needles. Ban them. The court-storming at the University of Virginia produced zero injuries – well, save for Duke coach Mike Krzyzewski’s bruised ego. Video packages of his kvetching poisoned the airwaves. A simple solution for you Coach K? Quit losing to inferior opponents. 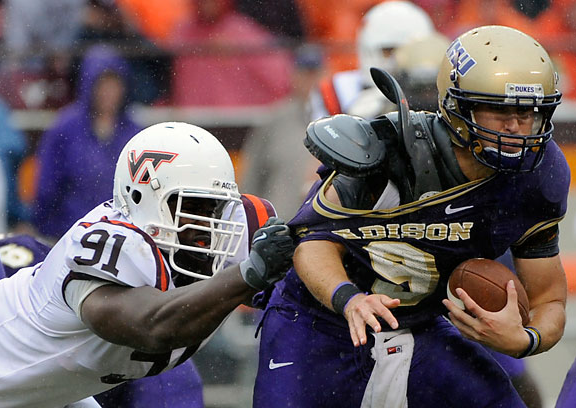 Fans begin rushing the field after unranked Virginia upset then No. 10 Clemson in 2006. The constant complaining over the fans’ enjoyment needs to stop. It’s ironic this tsunami of prevention doubled in size after the court-storming at U.Va. It directly contradicts Thomas Jefferson’s declaration that all of us have a right to the pursuit of happiness. A novel idea the talking heads should explore. Court-storming is an exhilarating experience for students. 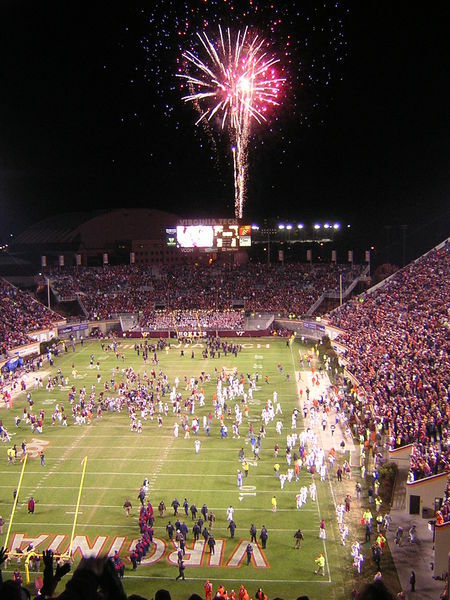 In 2006, I rushed onto the field at Lane Stadium after unranked Virginia Tech knocked off then-No. 10 Clemson. That ranks in my top five moments at college. Football coach Frank Beamer had the players come back out of the locker room to mingle with the fans. Take that away, and the gluttonous football programs become even more isolated from the college experience (SEE: SEC, which banned field-rushing and court-storming nine years ago). Arguments attacking the court-storming frequency have more credence but still are misguided. Students yearn for that bliss they see on television when a winless-in-the-Big-10 Penn State team shocks a top-five Michigan team. So, they lower the court-storming criteria. Let them have their fun. The only people I see complaining about it are the ones who no longer have the chance to participate. Guest Column: AHL Preview. Hershey Bears are the main contender. I have never been sure why a P.A. announcer would ask the question “Are you ready for some hockey?” because obviously every hockey fan is ready for hockey. The months of June-September are the longest three and a half months for any hockey fan. So to answer the question, we have our drinks, our jerseys and our hats (always useful to bring one or two to a game, just in case someone scores three goals and a hat trick breaks out), so yes that makes us ready for some hockey. 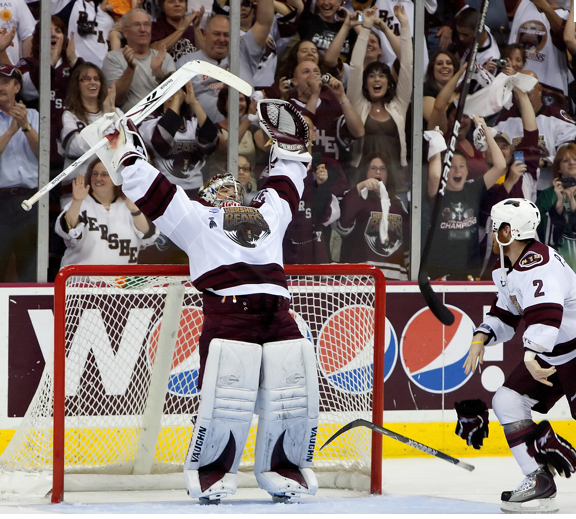 The Hershey Bears look to repeat as Calder Cup Champions. This season, the 75th of the American Hockey League, promises to be a good one. The league welcomes the Barons in Oklahoma City, the Checkers in Charlotte, and the Devils in Albany, to the league. There is youth and talent throughout the league and hopefully those skills can be showcased nationwide, with the possibility of players getting the call up to the NHL. Once again, the Hershey Bears are stocked and are poised to reach the playoffs again, but this season may not be a complete runaway. The Wilkes-Barre/Scranton Penguins stocked up on talent and the Norfolk Admirals are under new leadership, and after missing the playoffs by less than one game last season, are ready for to take that extra step into the playoffs. The rest of the East Division (including new comer the Charlotte Checkers, formerly Albany River Rats) all have one more year of experience under their belts and should make the Bears and Penguins route to the playoffs a little more difficult. The Worcester Sharks, behind the goaltending of Alex Stalock and the veteran presence of Jonathan Cheechoo, have a good shot at winning their division once again, along with the Hamilton Bulldogs and the Chicago Wolves, who are almost guaranteed playoff spots. All three teams will be challenged by opponents day in and day out, as almost every team in the league have made improvements. Boys, let’s play hockey and to those of you who have always wanted to attend a hockey game but never have, make this year different. Attend one game and there is a pretty good chance that you’ll be back for more. Remember fans, wait for the stoppage in play before leaving your seats and enjoy the next nine months, because before you know it, summer will be here once again. I’ll be back in throughout the season to update everyone and to update my predictions. 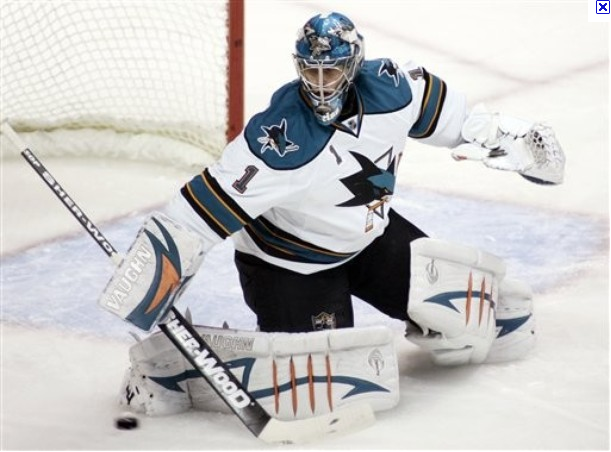 Sharks fans everywhere scoffed at acquiring Antti Niemi throughout the summer and they all were forced to eat crow Sept. 2 when the Sharks officially announced the signing of the Finnish goalie. San Jose now boasts a goaltending tandem of also Fin, Antero Niittymaki and Niemi as opposed to last year’s twosome of Evgeni Nabokov and Thomas Greiss. But you won’t see any partying in the streets. Reaction everywhere on Sharks forums is negative and pessimistic. Of course, being a Sharks fan, the only thing you know is bad luck and seeing the glass half empty. 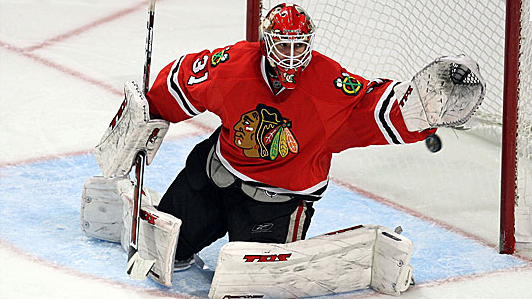 The addition of a Stanley Cup-winning goalie is an upgrade over Niittymaki first and foremost. You can argue technique and positioning all day, but Niemi has shown he can make the big saves when called upon. Niittymaki has only played in two NHL playoff games and looked awful (.828 save percentage, five goals against in 73 minutes). That isn’t a big enough sample size to judge him on playoff play, but it puts him in the same boat as Thomas Greiss. Previous all-star Nabokov was an OK playoff performer (.907 save %, 2.56 GAA), but couldn’t steal enough games by himself to bring his team to the promise land. Some fans have even dared to bring up how good he is in the regular season. Are you kidding me? Every Sharks fan should know by now how much the regular season means. But didn’t Niemi have a great defense? The biggest argument against Niemi and his Stanley Cup ring is that he had a spectacular defense in front of him. That’s very true, and playing for the Sharks will be a completely different experience. However, we don’t truly know how that defense affected Niemi’s psyche. Maybe knowing he had a defense in front of him, he didn’t play up to his potential and relied on the defense to clear out his gigantic rebounds. 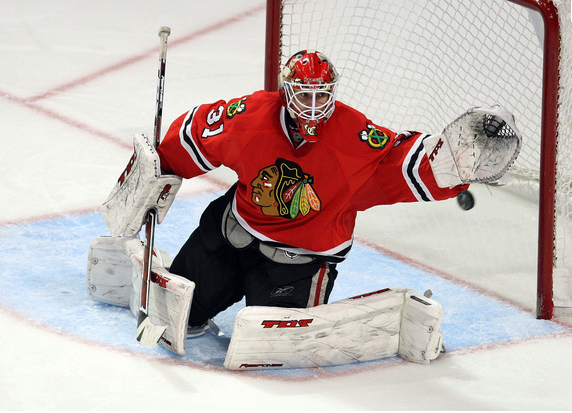 Now backstopping an average defense in San Jose could spark him to step up his game to higher level. Pure speculation but it’s something to think about. Niittymaki supporters like to mention that “when he’s on, he’s unstoppable.” This is an argument I love to hate. When any goalie is “on” they can be unstoppable. And if you have to use that argument at all in the first place, it means the goalie is inconsistent. I wonder if Niitty is "on" in this picture. One odd reaction to the Niemi addition is that people seem to think this is the roster the Sharks will enter the season with — three NHL starting goalies on one team with another star prospect (Alex Stalock) in the minors. There is no way this team stays the way it is now. I think some trade will happen before the season starts — probably involving Greiss — to acquire a defenseman. 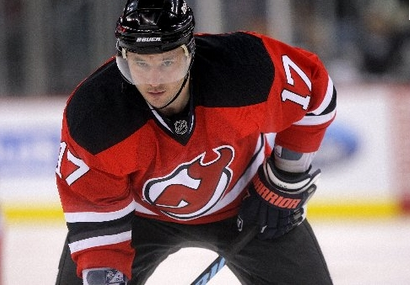 Ryane Clowe is a name that’s been thrown around numerous times for a package deal to bring in a top-4 defenseman. Something does have to be done about the defense, it doesn’t matter if Patrick Roy were the Sharks goalie, the defense has to improve. San Jose lacks a shutdown pair, and unfortunately, Huskins-Wallin just won’t cut it (haha). 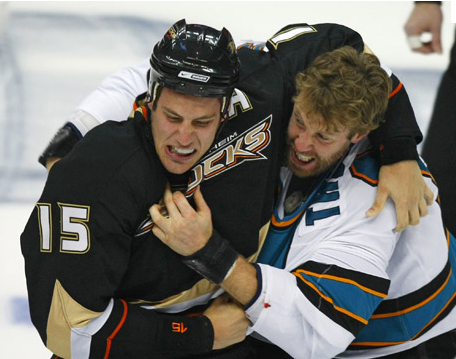 I’m not a fan of the Dan Boyle-Douglas Murray pair, just because I’m not a Murray fan. I think he’s a pylon who’s only good for one big hit a game. He was terrible in the playoffs, always being a step behind the play and leaving a man open. There’s been rumors of the Sharks trading Greiss + other assets to Philadelphia for Braydon Coburn, and other whisperings of a potential offer sheet for Rangers restricted free agent Marc Staal. Either would be an upgrade over Murray, but those may be forever pipe dreams. Sharks GM Doug Wilson must know the defense needs an upgrade, so I wouldn’t fret about the Sharks defense as it is now. It will change — hopefully sooner than later.